You can’t lose hope! Because your dog never will. I’ve had the great opportunity to help so many people whose dogs suffer from serious physical challenges. You can’t imagine the relief they feel to find solutions to their dogs’ problems. If your dog (or any dog you know) has arthritis, hip displaysia, cruciate ligament issues, wobbler syndrome, etc… know that there is help! I want to help ALL your dogs overcome their physical challenges. I’ve put together an excellent range of products to help. And I’ll continue researching & increasing our range in view of helping as many Aussie dogs as possible. 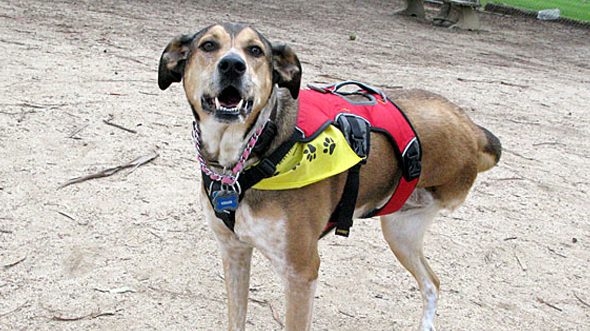 HERE ARE THE FIRST 7 PRODUCTS THAT HELP DOGS OVERCOME PHYSICAL CHALLENGES. Mobility issues are more common than you think. You are certainly not alone. 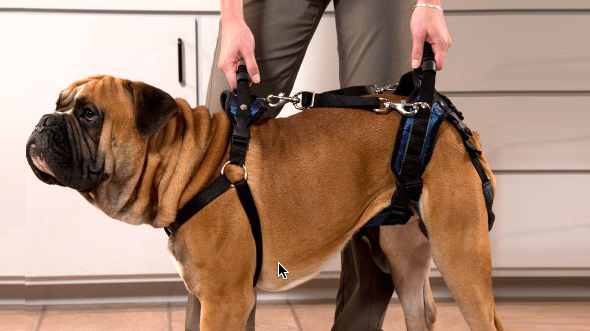 Here are some great specialty harnesses options to help you maintain your dog’s walks and regular activities. I’ll explain the advantages and differences of each option below. Built for our service dog friends, the Web Master is a super versatile & comfortable structured harness with a balanced assistance handle on the back. Originally designed as a climbing harness for dogs, the DoubleBack provides excellent under belly support for dogs of all sizes. 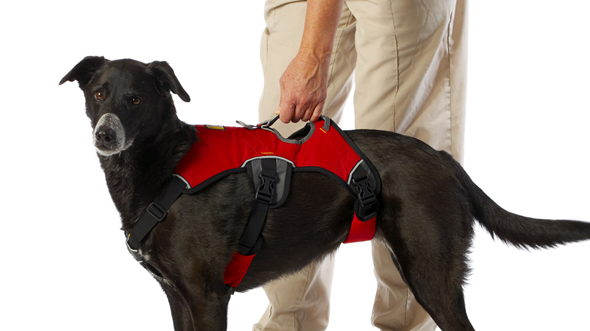 The CareLift Full Body Harness can get your dog moving again whether he’s had an injury, is recovering from surgery or suffers from athritis or other age related condtions. 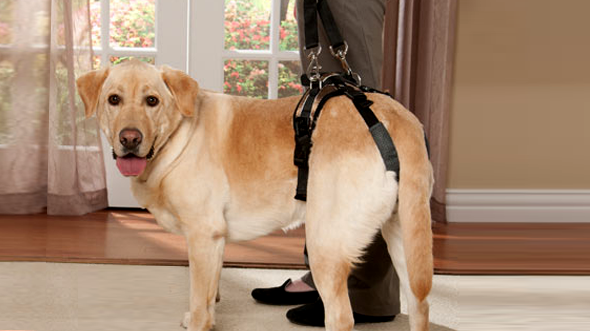 Helps dogs climb stairs, get into vehicles, get up on furniture or go for a walk. 4.5 kilos of problem solving power! 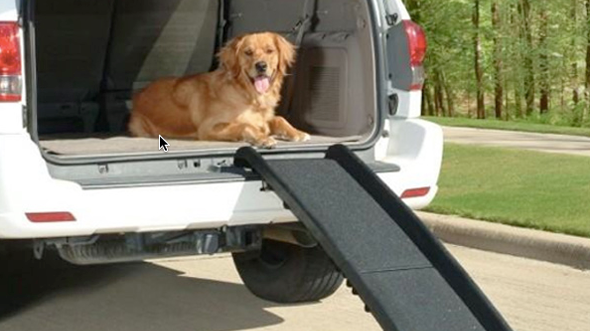 This ramp is super compact & lightweight and yet it can support over 90 kilos of dog goodness. Great to help dogs get into the car, over stairs, onto furniture (you know they want to go there! ), etc. 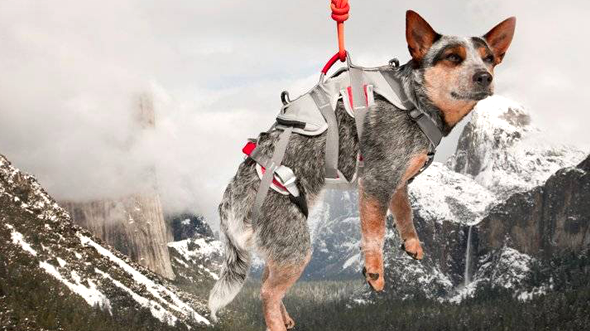 + Helping dogs reach heights up to about 61 cm. Dogs with physical challenges can often benefit greatly from the low impact exercise of swimming. It increases their fitness, conditions muscles and improves mobility in dogs who are recovering from injury or who suffer from arthritis. 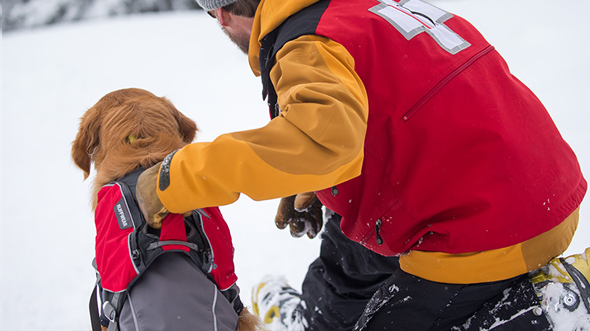 The Ruffwear K9 Float Coat is our go to life vest for this situation. 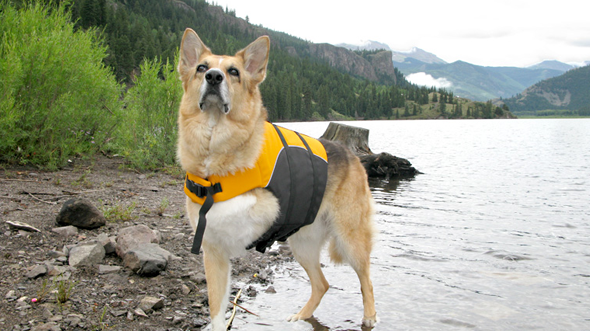 This is an extremely streamlined life vest with excellent buoyancy and it supports a full range of dog motion. I hope your dog never requires these items. But if your dog ever does, I want you to know we’re here for you. 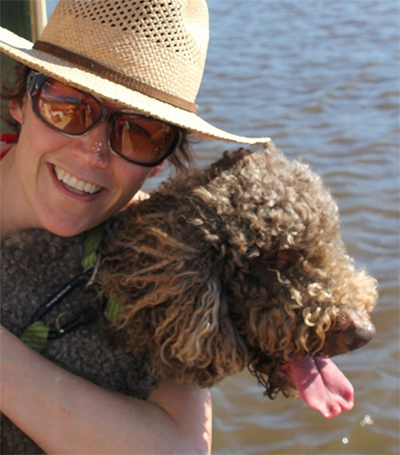 And I promise we’ll continue to find the best options available to help your furry mate through any future obstacles. Caring for an dog who can’t easily walk can certainly be a huge job! If you have the chance to lend a hand to someone caring for a dog with physical challenges, go for it! I promise you it will be rewarding and the flow on effects to your karma will be fantastic. Next week I’ll focus on gear that can improve your dog’s traction. This is the other side of the coin for the mobility issues solution. And believe me I’ve got plenty of awesome options in this area. And as always, if you know of any dogs who could use help in these areas please spread the good word! ALL THE ABSOLUTE BEST TO YOUR PACK! March 31, 2017 | Filed under Canine Health, Dog Gear, Living With Dogs. So sorry! Didn’t see your comment. Here is a link to the Dermagic product we have in case you may still be interested: https://waggle.com.au/products/search/index?s=dermagic.